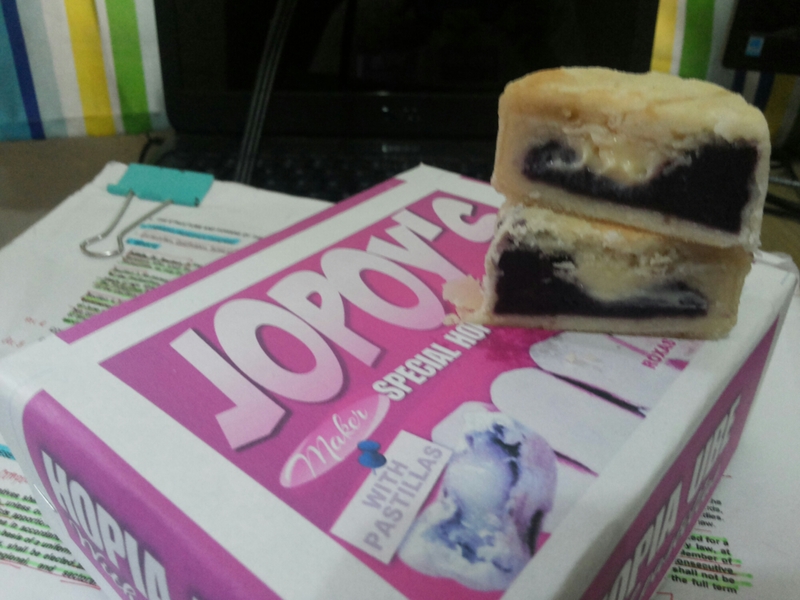 I’ve already tasted a lot of Hopia brands with different flavors ; But just recently , I was given a box of Jopoy’s hopia from Digos City , and it blew me away at first bite. As such, this goodie foodie is worth a recommendation. My fave would definitely be this one, filled with rich ube halaya (sweet yam) and pastillas (traditional Filipino sweet made of milk) at the center . I Purposely sliced a piece to half, to show its generous filling. Yum!! Unlike the famous eng bee tin’s smooth finished hopia pieces, Jopoy’s dough is a traditional – flaky type, which I like better. 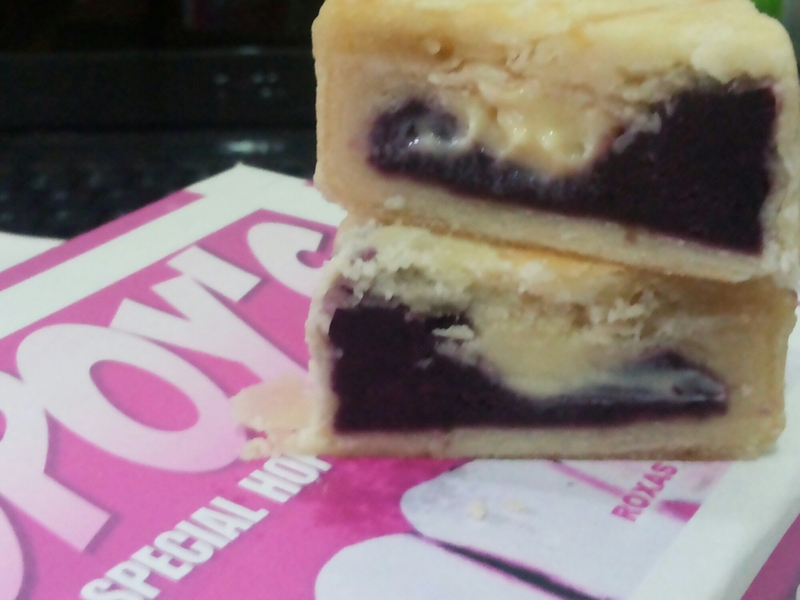 I liked this Hopia so much, it surpassed the famous eng bee tin and that hopia I had in Melacca, Malaysia. Jopoy’s is located at Roxas Extension, Digos City. Reblogged this on The Pink Pineapple.